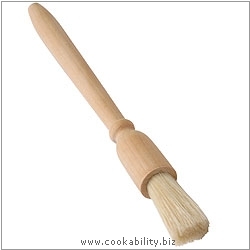 A traditional wooden handled pastry brush. Not resistant to heat. Not to be placed in a dishwasher unless you want to remove all the bristles!